Program #SHIV010. Recorded in Atlanta, GA on October 17, 2006. Just a few years ago, Globalization was being hailed as the cure all for the world’s economic problems. There were cascades of platitudes about “level playing fields” and “a rising tide lifts all boats.” Prosperity for all was on the horizon. It hasn’t quite worked out that way. But it’s no surprise. The rich North has used so-called free trade agreements to further pauperize the South. The principle mechanism is massive subsidies to corporate agribusinesses who then dump their grains in Third World countries at below market prices. Farmers in India, Pakistan, Egypt, Mexico, and elsewhere can’t compete and face ruin. On another front the big multinationals are trying to patent seed stocks forcing farmers to buy new seeds from them. People in the Global South are organizing to defend their rights. 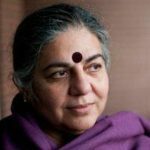 Vandana Shiva is an internationally renowned voice for sustainable development and social justice. 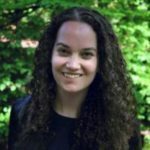 She’s a physicist, scholar, social activist and feminist. She is Director of the Research Foundation for Science, Technology and Natural Resource Policy in New Delhi. She’s the recipient of the Sydney Peace Prize and of the Right Livelihood Award, the alternative Nobel Prize. She is the author of many books, including Water Wars, Earth Democracy, Soil Not Oil and Making Peace with the Earth. She is the editor of the book Seed Sovereignty, Food Security.